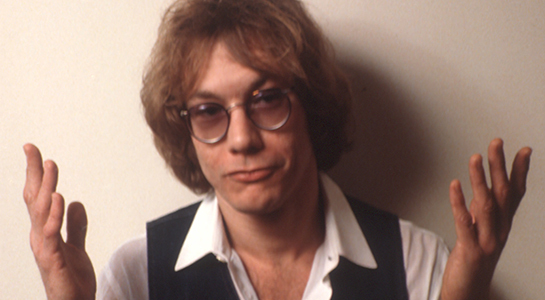 It’s pretty cool when your seven-year-old son is walking around the house singing “Werewolves of London” without any instruction on the subject. I know he’d heard the song before but today he heard it in the car and it put its hooks into him. He could not stop with the “Awoooooo.” I thought it a teachable moment — we got onto the Spotify and I pulled up other Warren Zevon songs and played them — he was unimpressed. And I had to admit — as much as I like “Excitable Boy,” it’s no “Werewolves.” I tried to think of other artists like Warren Zevon, or other songs that had great piano riffs. You end up with what? Jackson Browne, maybe. Billy Joel, but he’s too — Billy Joel. Ben Folds? Didn’t really want to go there. It was all a big waste of time. We played “Werewolves of London” about 10 times in a row and were happy with that. “Enjoy every sandwich.” We should all try.